Hey there, I want to Introduce my precious little Princess Sabrina Ordoñez Prendez was born on July 13th,2017 at 9:04 pm. She weighed 5.9 lbs. and measured 18.5 inches. Throughout my whole pregnancy I followed newborn pages and photographers, yes I became obsessed with babies. Have you seen what goes on behind the scenes of newborn photoshoots? I made sure I YouTube videos so I knew what to expect. Let me tell you it is not as easy as it looks, achieving these precious photos takes time, patience and tricks. 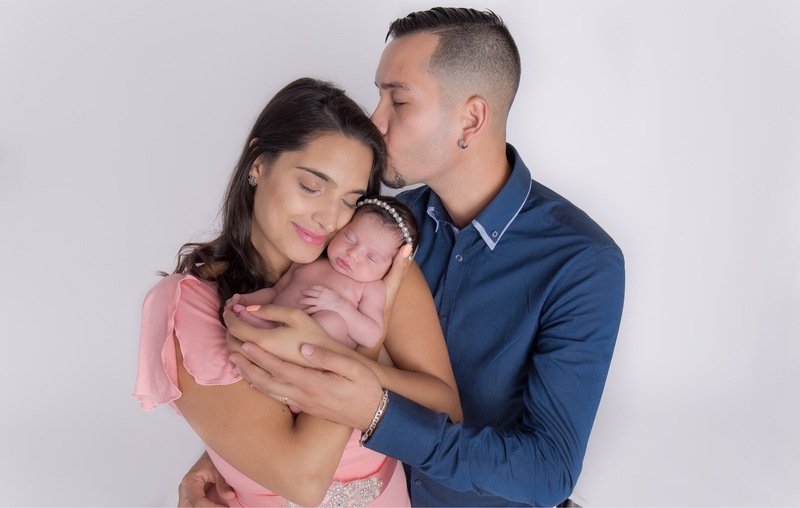 The room has to be at a certain temperature to keep the baby comfortable, it can take longer than a regular phototshoot due to the feeding breaks and changing breaks but every minute of it is worth it. 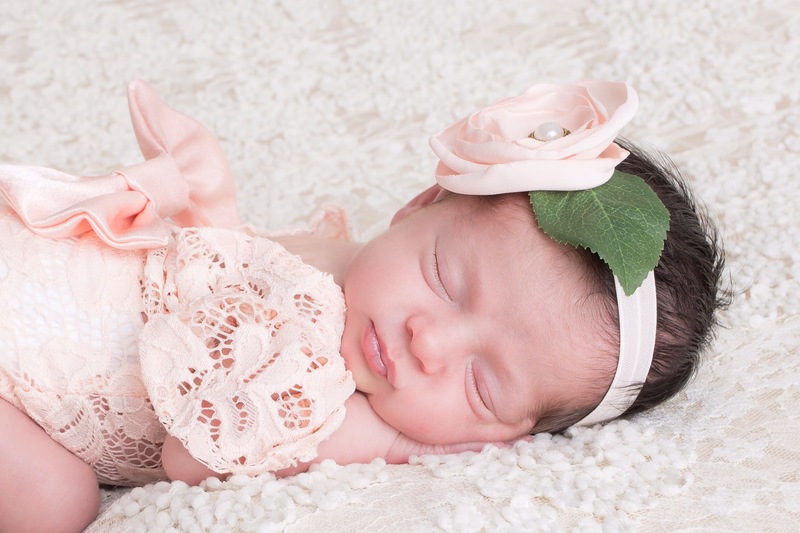 At 10 days old Sabrina had her newborn photoshoot with Ellie from Pixel Star Studios. Ellies favorite aspect of capturing newborns is “creating timeless images that will be beloved for years and generations to come”, and this is exactly what she did for my family. Ellie has a gorgeous studio in Kenilworth NJ. It’s super cozy and it’s ambiance is beyond perfect for Newborns. I was a little nervous because I wasn’t sure how Sabi was going to act, but she did great. She slept throughout most of the photoshoot. Ellie had all the necessary gadgets to keep my baby comfortable and happy. I loved that she had all the props and precious little outfits for my princess. Make sure to check her out, she’s great! The funniest thing happened after we took this family photo. Sabrina had no diaper on and she decided to bless daddy with a little gift. The head band that Sabrina is wearing was actually made by Ellie, and the dress I am wearing is a maternity gown from Sew Trendy Accessories. They did tell me I would be able to use it after maternity and I didn’t believe it, but as you can see , they are just as gorgeous for after birth as well. Sabrinas mood all day everyday! lol sleep, sleep and more sleep. Love the pics! Ellie is so good at her job! Olivia blessed daddy too, thank God he had another shirt to put on.. God bless Sabrina. She is gorgeous.